Wittlebee is the kids clothing club. We aim to keep parents well stocked with amazing kids clothes. We create custom packages for our members based on their child's age, color preferences, geographic location and more. 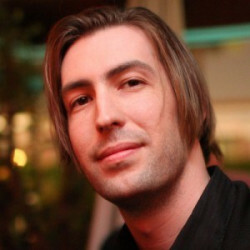 Sean Percival is an internet entrepreneur based in the Silicon Valley. He launched his first internet startup in 2006 for a mere $12. His second internet company named lalawag which he founded with his wife Laurie, was created in 2008 and sold in 2010. Currently he is a partner at 500 Startups where he focuess on the Nordics, Bitcoin investments, and the accelerator program. He is also the CEO and co-founder of Wittlebee, a kids clothing club. Prior to that, Sean was the vice president of online marketing at [Myspace](https://www.crunchbase.com/organization/myspace). Next week, the TechCrunch team will be in Stockholm for the TechCrunch Meetup + Pitch-Off to network and hear up to 10 startups pitch. The startups and winners will be written about, and this is also your chance to meet and network with key TechCrunch journalists. The winner of the pitch will get a booth in Startup Alley at TechCrunch Disrupt in London. Before joining Northzone in 2012, Marta was an Investment Analyst at DN Capital in London, where she worked with several of their portfolio companies in the digital media and fintech verticals. Mattias LjungmanMattias launched Atomico in 2006 alongside Niklas Zennström, sourcing investments and building Atomico’s team of experts who help portfolio companies to scale globally. Which brings us to the next bit of news — the next 500 Startups Accelerator class. Its previous Mountain View class is having demo day this week, for instance, and applications for its next Mountain View Accelerator class are already open and will run through February 21. Today, the seed-stage investment firm and accelerator is making announcements on both fronts, as it’s brought on two new venture partners and announced the 28 companies that will participate in its eighth 500 Startups Accelerator class. According to founding partner Christine Tsai, the 500 Startups Accelerator will likely have about 120 companies go through it each year, as each class houses about 30 startups. While 500 Startups traditionally has hired aggressively to build out its network of investors in specific markets around the world, both of these new investors will be based in Silicon Valley. Sean Percival, who was most recently co-founder and CEO of children’s clothing subscription startup Wittlebee, has joined online discussion site Topix as vice president of marketing. )In addition to announcing Percival’s hire, Topix also says senior director of sales Laurie Hironaka has been promoted to vice president of sales. “It was tough to leave LA, but the possibilities up here were just too hard to ignore any longer,” he told me via email. (Topix is also a site where the discussion can turn pretty nasty, so whenever I write about it there’s always someone popping up to talk about how much they hate it. I first became familiar with Percival as the founder of LA startup gossip site Lalawag, so I was surprised to hear that he’s moved up to the San Francisco Bay Area to take the job at Topix. While engineer-heavy software startups may be able to find a soft landing through an acquisition, e-commerce startups like Wittlebee may have a tougher time. Co-founder Sean Percival is walking away from his CEO position at the children’s subscription clothing startup Wittlebee after it had trouble raising a Series A. Amidst a tough fundraising climate for e-commerce startups, Sean says he thinks Wittlebee will continue operating but it’s up to the board of directors. Percival originally broke into the startup world after starting a website in 2006 and then selling it for $100,000 in 2009. It was designed to get parents great deals on kids clothing by sending them monthly packages with eight items. Percival tells me “While the company has done fairly well, the market conditions for e-commerce funding are not great. Erin Guitierrez, the CEO and founder of Cottonseed Clothing, will stay on to be involved in the manufacturing process. The acquisition also makes sense in terms of company ethos: both Wittlebee and Cottonseed Clothing were started by parents looking for good-quality, simple-but-stylish pieces for their offspring. Wittlebee, a “Birchbox for babies” backed by LA’s Science incubator, is diving deeper into the products that form the core of its subscription-based kids’ clothes service: today it is announcing its first acquisition, the baby clothesmaker Cottonseed Clothing Company. The acquisition will mean that Wittlebee becomes the exclusive distributor of Cottonseed’s clothing: a selection of cotton basics in 24 colors. The regular supply of fresh clothes is a great idea considering how quickly kids grow and wear out their threads. One Jackson, the latest e-commerce startup to target the popular kids’ clothing market, is preparing to make a big splash with its public debut next week. You can think of One Jackson as something like a Kickstarter, except without the upfront monetary commitment, perhaps. For One Jackson, the long-term goal is to eventually speed up the whole process so they’re making just the right number of clothes to meet demand. Contests begin with an inspiration board, which is based on the design team’s research and study of emerging fashion trends. Kids show up at the school or the playground, and they look like everybody else,” she says. There are 100+ different outfit combinations available at launch that fit different “personality” types like princess, boho beach, fashionista, or even just jeans-and-tees. In FabKids’ case, actress Christina Applegate is providing design input in exchange for equity in the company. FabKids was created by serial entrepreneur Andy Moss who previously founded fashion search engine ShopStyle.com, which merged with Sugar, Inc. in 2007. At ShopStyle, explains Moss, customers often said that it would be great if the service could recommend specific styles or outfits. Unlike many competitors in the subscription e-commerce business, FabKids doesn’t aggregate from various designers. Because I’m so clearly ready to settle down and have a family, I am at the first ever 500Startups MamaBear Family conference in Mountain View today, watching a group of talks from family-oriented startups and people who have experience with family-oriented startups — like Wittlebee‘s Sean Percival and mama-entrepreneur Randi Zuckerberg. Full schedule here (the livestream will revert to the full conference once today’s talks are over). If you too are itching to go beyond the social photo sharing black hole and build something useful for families and chillens, watch the Livestream above for tips and tricks. Yesterday I was totally ready to remove my uterus, but today my biological clock is all “Ring the alarm!” now that I know that the mom space = major moola (that sounds really gross actually, sorry). The so-called subscription commerce market is expanding rapidly — but what’s behind the trend and why are so many consumers signing up? The subscription service, which was incubated by Science and launched yesterday, offers up boxes of children’s clothing for $39.99 a month. Subscription services are nothing new, of course: there have been beer, wine and coffee of the month clubs operating for decades, as well as subscription food services like Omaha Steaks or local community-supported agriculture (CSA) programs. AdvertisementOne thing’s for certain — the subscription commerce craze is far from over, and we’re likely to see more startups announce plans to tackle new market niches as time goes on. AdvertisementMaking subscriptions personalAdvertisementWith more data on what consumers like, subscription commerce companies can also better target their customers and align the products they send with a consumer’s interests. Wittlebee is like a Birchbox for kids clothes, where parents can get recurring/one-time shipments of children’s clothing for $39.99 a month — 8 items in total from brands like American Apparel and Cottonseed. And yes, you can pick gender, age style and color preferences in the on-boarding process. Because I am going to be an awesome Mom, I will totally keep my ears open to the best possible options for my kids, because I’ve totally set my sights on that, focusing on family instead of career and all. Percival tells me that the appeal of Wittlebee — in the same space as Thredup— is essentially the money saved by new parents, as the startup essentially packs about $80 of clothing in to each $40 box of clothing sent. Until hell freezes over then, I will be buying my more reproduction-friendly friends subscriptions to Wittlebee (rhymes with “little bee”), a Science-backed “get random stuff sent to you” startup run by my old friend and former Myspace marketing exec Sean Percival.